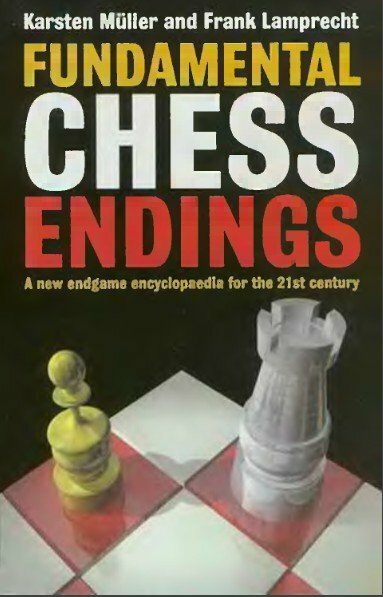 Fundamental Chess Endings is primarily concerned as a textbook and is divided into 12 chapters with exercises. We start with the basic mates and continue with chapters on all endings where each side has at most one piece, plus sections on some of the most important endings with additional pieces. The statistics were only a rough guideline for the space we assigned to particular endings For instance, we devoted a lot of space to rook endings as they occur most often in practice, and to pawn endings as they are fundamental for all other endings Some endings with more pieces, such as double-rook endings or queen against two rooks, are also covered, and in Chapter 11 some general endgame principles are explained using endings with more material. At the end of each chapter or section, rules and principles for the specific ending are given. Study them carefully - you should know them by heart! A list of selected reference works is also given m the same place. A large collection of problems with answers. Pawn endings. A large collection of problems with answers. Rook ending.